OT - converting CSV to a structured text file? This is a non-epicor request, and maybe a long shot. However, I’m on a short timeline and thinking maybe one of you smart people, might have done something like this before. I’m trying to automate, or at least semi-automate turning a CSV file into a structured text file. 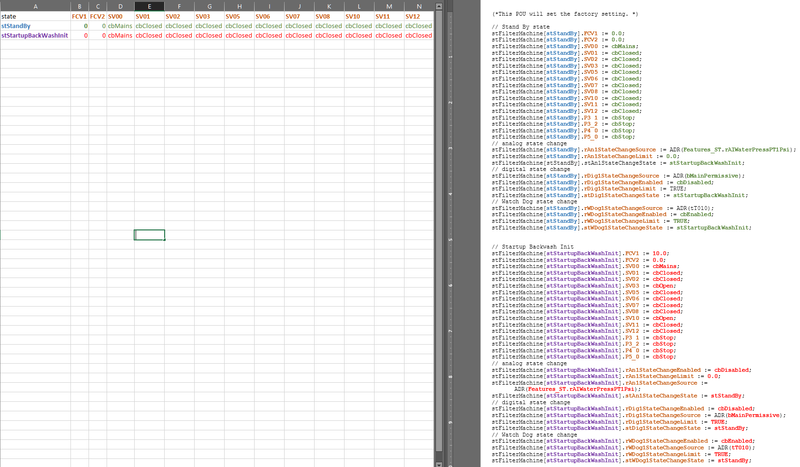 Below is a screenshot of both the input file (CSV) and the desired output (TXT), where I’ve color-coded the fields. I’ve also attached the 2 sample files if anyone wants to ‘play’ with them, the actually CVS file will be bigger with more rows and columns. Any thoughts or pointers on the quickest most efficient way to do this would be helpful. Have you tried using a Macro to do this? Looks like you want to do the opposite of a Pivot table. Put your data in cells B4… xxx5. Extend the table to the width of your data. Thanks, @ckrusenm, this is awesome! If I weren’t doing 4 projects all at the same time I most likely could have figured this out. I definitely owe you a beer or 2. Are you attending Insights? Glad to help. Please double check everything. Lots of places where Abs cell references(like A$5$) should be used but weren’t. And I’m not attending Insights this year. Maybe next year.